Explore the concepts of limiting reactants, excess reactants, and theoretical yield in a chemical reaction. 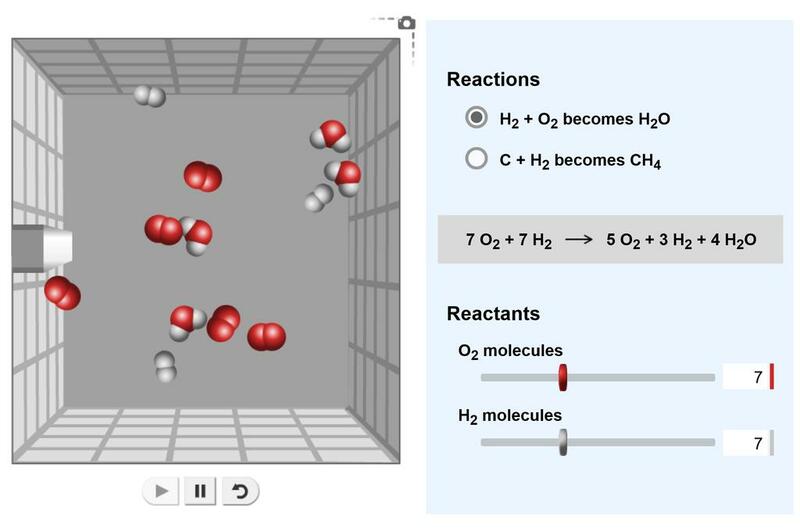 Select one of two different reactions, choose the number of molecules of each reactant, and then observe the products created and the reactants left over. This 1-hour Gizmo lab is very effective to understand the Limiting reactants and excess reactants in given chemical equation. Short lab, but very effective tool for practicing how to write chemical equations.